The moment when you upgrade from sponge tip applicators to your first set of brushes is a rite of passage for anyone who loves make-up. And with thanks to brands such as Brush Works offering fantastic ranges at budget prices, it needn't cost a small fortune as you fine tune what style of application works best with your favourite products. There's no denying that we have the biggest range of make-up brushes and sponges available ever, with all manner of shapes and textures, buffers and blenders at our disposal. But with some luxury face brushes priced between £60 - £80 for a SINGLE brush, it can be a bit daunting to know where to start. 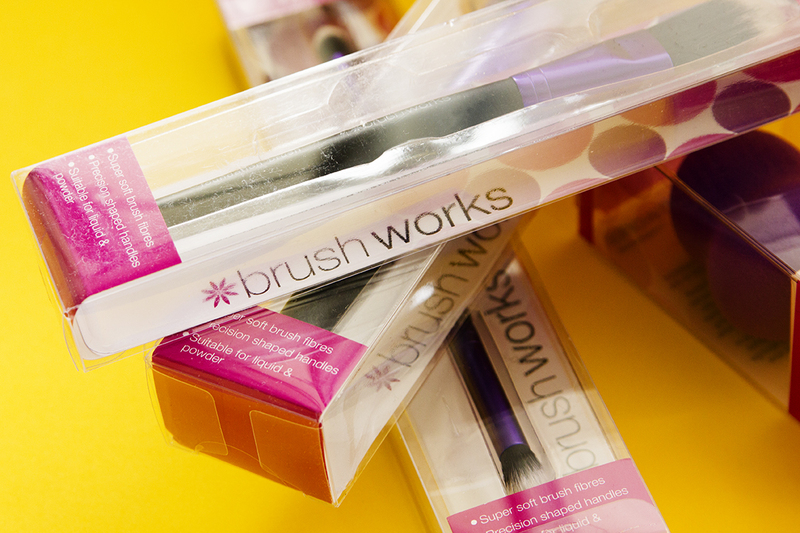 That's why brands such as Brush Works are so accessible, with their range starting from just £4.99, allow for experimentation as you collect your perfect set. I was recently sent a selection of tools to help paint on my silly face, and was incredibly impressed by all of them - especially considering their lower price points. 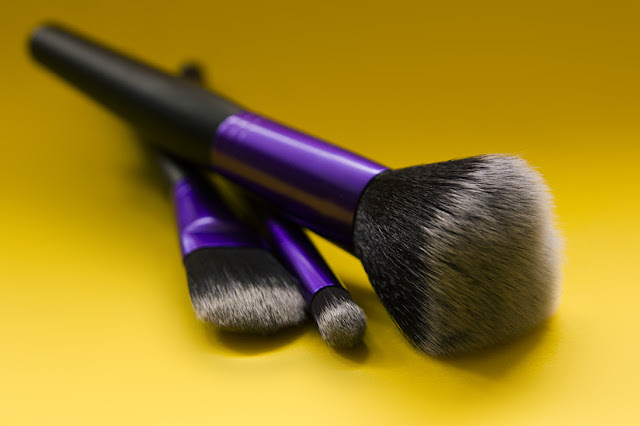 For a start, the brushes are hand cut into shape, and made from Taklon bristles which are soft on the skin and perfect for both liquid and cream products. I love a good synthetic brush because it means the product will be guaranteed vegetarian, if not vegan, with the Brush Works range being certified vegan friendly and allergy free. 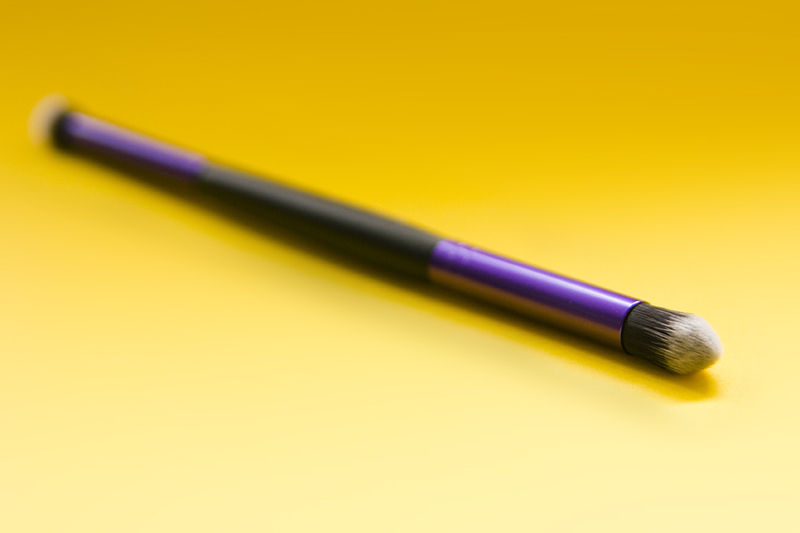 The handles are easy to grip, with the black and purple design looking both pretty and sleek. And they have a fluffy white finish to the bristles, which helps to remind us to clean them frequently! I got off to a good start with the foundation brush, finding that it was everything I wanted it to be. I had kept my expectations in check considering the price point, but this was easily as good as a more expensive version. It got major plus points for not sucking up the product, with the synthetic hairs allowing the foundation to stay on the tips rather than absorbing it. It's perfect for applying cream or liquid foundation, with a great shape ideal for patting under the eyes and working into creases. I think there's a general feeling that most sponge blenders are all the same, but some really are better than others and it comes down to absorbency rather than price. The Brush Works version is a real gem, as it's designed so that the product sits on top allowing you to use less product each time. When used wet, the sponge grows and softens to cover larger areas, and air dries easily, shrinking back to it's usual size. The shape is wonderful for blending contours and patting in pan stick foundation, and can be washed, squeezed and air dried with ease. 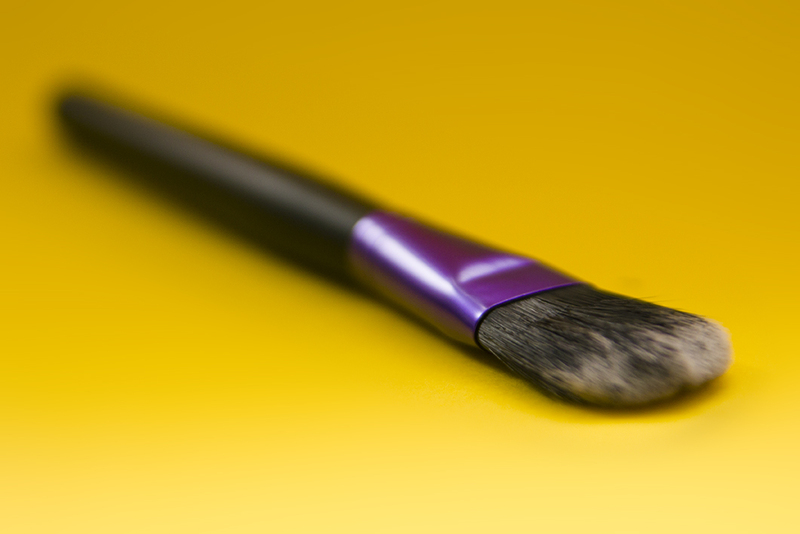 The face duo brush is a brilliant double act for all your concealer, smudging and blending needs. With one end slanted and the other domed, it gives you the flexibility to use it in a multitude of ways. Whilst it's designed with the slanted end in mind for blending and the rounder one concealing, I also found it good for softening eye shadow edges, filling in brows and even patting in a touch of highlighter on the cheek and brow bone. I am such a sucker for large, fluffy brushes, so it was no surprise that this lovely blush brush was my absolute favourite from the selection. Hand trimmed and shaped to deposit just the right amount of blush onto cheeks, it sweeps and blends out softly to achieve the perfect definition. 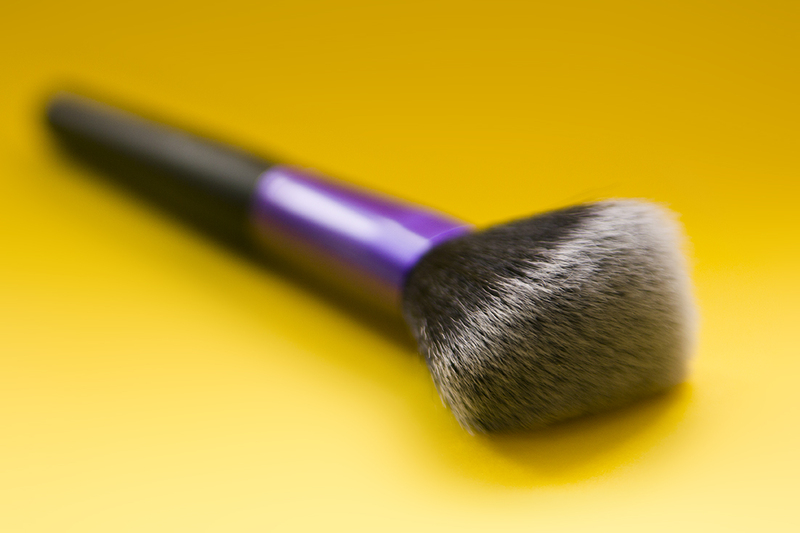 In a pinch, it's large enough to use as a powder or face brush if you need to buff some translucent powder, and the bristles hold up wonderfully whether using liquid, cream or dusting products. For a range where the products cost less than a lunchtime treat, they honestly knocked my socks off. 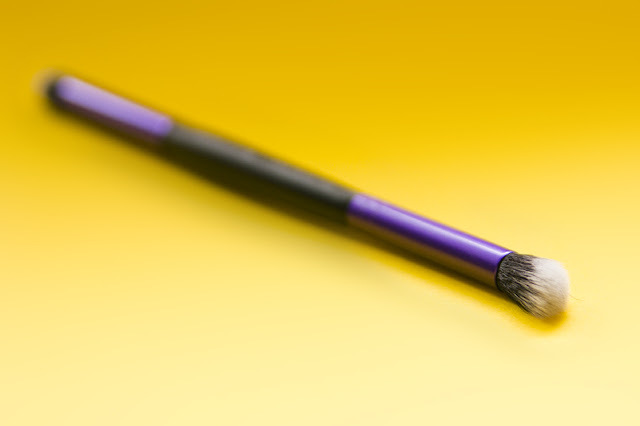 Pretty, practical and multi-use, I cannot recommend them enough whether you're just starting out, or a seasoned brush wielder. You can purchase the complexion sponges here, and the brushes from here.